Nicodemus is confused over Jesus’ statement that he must be born again. He says to Jesus, “How can this be?” Nicodemus is still looking with “natural” eyes. Until Nicodemus is born again in the Spirit, he will not be able to understand spiritual matters. Nicodemus wants to know what he must do to enter and share in the Kingdom of God. Jesus, the “higher” and Eternal Teacher, said to Nicodemus, “You are Israel’s teacher and do you not understand these things?” John 3:10 Nicodemus was a spiritual expert in the Law, the prophets and the Talmud. He was a teacher responsible for the instruction of God’s people. Jesus is probably saying, “I can understand a spiritual new born or a disciple not understanding these things, but you are a master teacher of the Law and the Prophets and should understand these things.” As a teacher of Israel, Nicodemus knew that a gentile had to be immersed in water symbolizing being born again before they could be converted to Judaism. So, being born again was not a new concept to Nicodemus. But it was new for Jesus to say that a Jew must be “born again.” Jews felt that being a descendant of Abraham gave them entrance into the Kingdom of heaven. Jesus is dispelling that belief in this discourse with Nicodemus. Nicodemus and his fellow Pharisees and Council members needed their sins forgiven and taken away like any other human. The Jews were under the oppression of the Romans at the time of Jesus. They wanted Messiah to come to free them. They weren’t looking for spiritual freedom. Jesus wants Nicodemus to take his eyes off of earthly things and fix his eyes on Jesus and heavenly things. People who love and follow Jesus are to be walking in a higher spiritual realm. As a master teacher of Israel and one who had memorized the scriptures, Nicodemus would have remembered Ezekiel 36:26-27 where God tells the prophet Ezekiel to tell His people that at God’s appointed time He will put a new heart and a new spirit in them and will move them to follow His Word. When God does this, God tells Ezekiel to tell His people that He will save them from their uncleanness and bless them abundantly. (see Ezekiel 36:29-30) Jesus and the Holy Spirit will fulfill this prophecy. Jewish males would begin the study of the Levitical Law at the age of 5. Then they would be taught the Oral Law. At the age of 13, the Jewish disciple would be considered informed enough to study and do the commandments. At the age of 15, the disciples of a rabbi could study the Talmud of rabbinic interpretation by some of the great teachers. At the age of 20, the Jewish male would pursue a vocation and at the age of 30, they would be prepared enough to teach others. These students intensely studied the scriptures for years and years. Not many became teachers because of the commitment to the Word of God and the hard work. Thirty is the age of maturity in the Bible. Jesus had to be the age of 30 before He could begin to teach others in fulfillment of this requirement of the Law. Jesus’ earthly life mirrored these requirements according to the Law. The Bible says that Jesus grew in wisdom as a young child. At the age of 12, He celebrated his first Passover in Jerusalem and stayed to discuss the scriptures with the teachers. 12 is the number of Divine Government and also God’s leaders. There were 12 sons of Jacob who were the leaders of God’s people. There were 12 Apostles taught and chosen by Christ to lead His Divine Government on earth. Jesus also learned a vocation – carpentry. At the age of 30, He began His public ministry and taught others. Again, Jesus had to do all that the Law required in order to fulfill it. Jesus was the perfect Hebrew male. He was also the Perfect Master Teacher. Jesus then says to Nicodemus, “I tell you the Truth, we speak of what we know, and we testify to what we have seen, but still you people do not accept our testimony. I have spoken to you of earthly things and you do not believe, how then will you believe if I speak of heavenly things?” John 3:11-12 The “you people” are the Pharisees and the members of the Sanhedrin Council. Jesus always speaks Truth because He is Truth. Jesus is saying that if Nicodemus can’t understand earthly things, how then will he understand spiritual things. God made it clear in scripture that the “natural” speaks to the “supernatural.” Jesus often used the things of the earth to teach a spiritual lesson. Unregenerate hearts will not understand Jesus’ truth. When Nicodemus believes in Jesus and is born again, he will understand Jesus’ words. Next Jesus tells Nicodemus why He knows and testifies of spiritual things. He uses the term “we testify.” The “we” is Jesus and the Holy Spirit who are One. “No one has ever gone into heaven except the One who came from heaven – the Son of Man.” V13 Because Jesus and the Holy Spirit were with God before the foundation of the universe, He knows the mysteries of God. Jesus is speaking of Himself to Nicodemus. No other man, woman or child except Jesus has descended from heaven to earth and will ascend from earth to heaven after His death and resurrection. This gives Him the right and the knowledge to teach spiritual things. Jesus was a Teacher sent from God telling Nicodemus how He can enter the Kingdom of heaven. God, Jesus and the Holy Spirit want to teach and train us so we can rule and reign with them. Jesus cannot entrust such vast power to those who have not been prepared for it, just as the young, Jewish boy had to be taught, trained and prepared before ministering to others. Jesus wants us to grow and develop spiritually so more and more we look, act and think like Him. Then, we will govern righteously. We are in the process of becoming sons and daughters of God who reflect His image and likeness. It was as the Son of Man that Jesus was lifted up on the cross because He represented every “man” (human). God sees male and female as one because the Woman was taken out of Man at creation. The Son of Man Jesus bore our sins on the cross and set us free from the death that our sins give us. There is no life in sin – just death. Why did Jesus call Himself the Son of Man to this Jewish Rabbi, Pharisee and member of the Sanhedrin Council? For the answer, we have to look at Daniel 7:9-14. Keep in mind that everything Jesus did and said while walking the earth was fulfilling scripture. 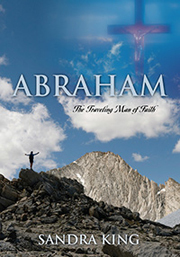 The prophet Daniel is having a vision of God’s spiritual Kingdom before Jesus came to earth. “In my vision at night I looked, and there before me was One like the Son of Man, coming with the clouds of heaven. He approached the Ancient of Days (God) and was led into His presence. He was given authority, glory and sovereign power; all peoples, nations and men of every language, worshiped Him. His dominion is an everlasting dominion that will not pass away, and His Kingdom is one that will never be destroyed.” V13-15 God revealed to Daniel that One would be coming like the Son of Man who would have authority, glory and sovereign power, and whose kingdom would be eternal. Nicodemus, who is well-schooled in the Older Testament scriptures, should recognize the term Son of Man because of these scriptures in Daniel 7. Eventually Jesus will come with the clouds also as the Son of Man to again save His people and unite them with Him in the Kingdom of Heaven. First He must come as the Son of Man to save all men (humans). The time between His first and second coming is to allow people to freely choose to believe in Him, follow Him and worship Him. By becoming Man, Jesus did not cease to be God. The two became One in Him. He was Perfect Man and Perfect God. God called Ezekiel in the Older Testament, “son of man” many times as He was revealing Ezekiel’s calling, God’s ways and His temple but Ezekiel was not the Son of Man. In Daniel, God revealed the Son of Man who is also the Son of God who sits on the throne in authority, glory and sovereignty. · Matthew 9:6: The Son of Man has the power to forgive sin. · Matthew 12:32: The Son of Man is Lord of the Sabbath. This is the earthly Sabbath. In heaven, we rest in peace with Him, the Father, the Holy Spirit and all believers. While on earth, we rest in His finished work on the cross so every day is the Sabbath in Jesus. · Matthew 13:41: “The Son of Man will send out His angels, and they will gather out of His kingdom all things that offend, and those who practice lawlessness,” Jesus will remove all things that offend and those who practice lawlessness. · Matthew 16:27: “For the Son of Man will come in the glory of His Father with His angels, and then He will reward each according to his works.” Jesus will come in the Father’s glory and reward His followers according to their works. · Matthew 16:28: “Assuredly, I say to you, there are some standing here who shall not taste death till they see the Son of Man coming in His kingdom.” We do not know the time of His coming so we are to be prepared at all times. · Matthew 20:28: “just as the Son of Man did not come to be served, but to serve, and to give His life a ransom for many.” Jesus didn’t come to be served but to serve. · Luke 18:31: Then He took the twelve aside and said to them, “Behold, we are going up to Jerusalem, and all things that are written by the prophets concerning the Son of Man will be accomplished. Jesus will fulfill all that was written by the prophets. · John 13:31: So, when he had gone out, Jesus said, “Now the Son of Man is glorified, and God is glorified in Him. · Revelation 14:14: Then I looked, and behold, a white cloud, and on the cloud sat One like the Son of Man, having on His head a golden crown, and in His hand a sharp sickle. All of this Jesus did for man (humanity) as the Son of Man, the Son of God. What a wonderful Lord we serve.